It is a fantastically sunny morning here on the East Coast with a gorgeous breeze...the kind of morning that makes me want to actually cook and eat outside (which is rare, believe me). 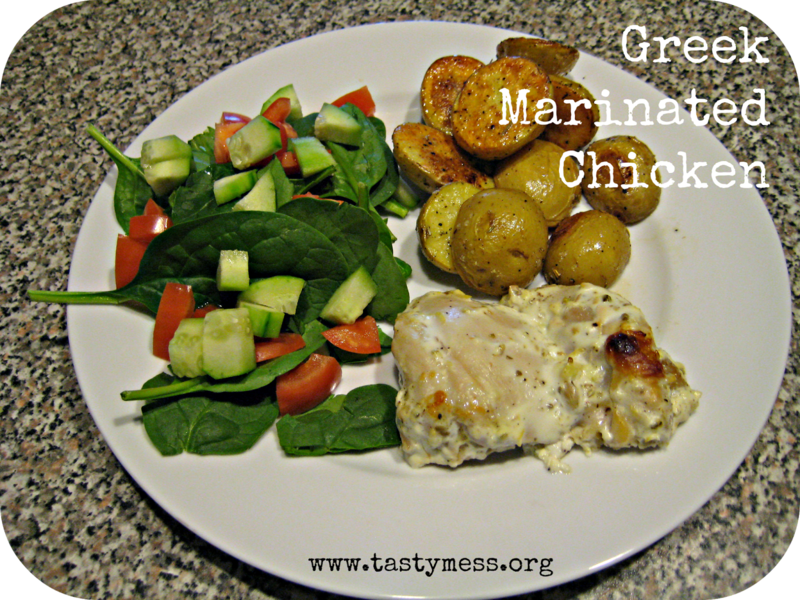 Inspired by the weather, I thought I'd share one of my favorite new marinades with you. This Greek-style marinade is perfect for chicken getting ready to throw on the grill (or the oven), especially since it's just a quick 30-minute marinade. Unfortunately when I tested this recipe last week the weather was not so accommodating so I finished the chicken off in the oven. Still tasty, but much more amazing if you can throw your chicken pieces on the grill to get that char! Combine the yogurt, olive oil, garlic, oregano, lemon zest and juice and a big pinch of salt and pepper in a bowl. Add the chicken pieces to a large zip-top plastic bag and pour in the marinade. Seal and "shake" until the pieces are completely coated with the marinade. Pop the bag in the fridge and marinade for no more than 30 minutes. To cook the chicken, either do so on a grill or bake in a 400 degree oven for about 45 minutes or so (depends on the cut of chicken you use - bone-in takes longer). Serve up with a green salad and roasted potatoes and enjoy!